When Juventus went away to Cagliari, youngster Moise Kean was subject to racist jeers by the home fans but Bonucci says the fans are not fully resposible. 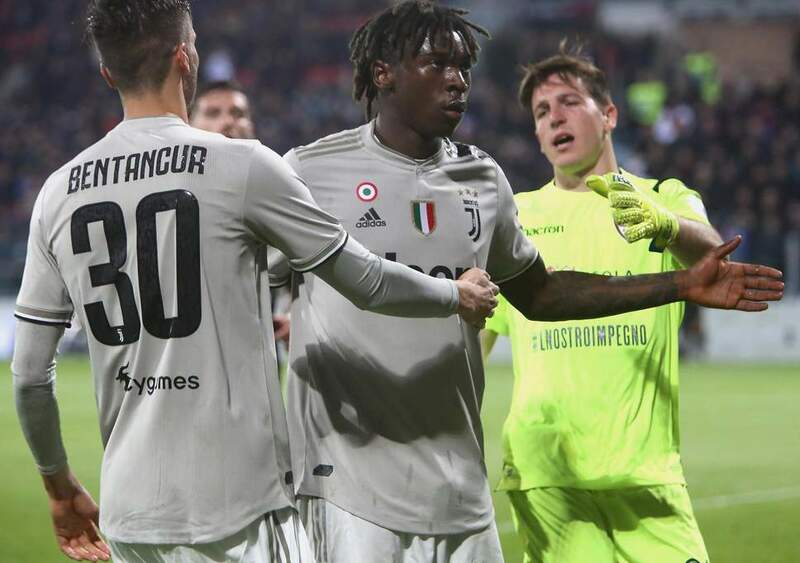 A week after English stars were racially abused in Montenegro, Moise Kean was subject to racist abuse Tuesday during a Serie A match. The teenage sensation, born to Ivorian parents, had to endure monkey chants from a section of the Cagliari supporters. And after scoring late in the game, Kean held his arms aloft in front of the home fans in response. But it only seemed to intensify the jeers and taunts. Moise Kean decided to respond to racial abuse by holding his arms aloft in front of the Cagliari fans after scoring. Raheem Sterling has mocked Juventus defender Leonardo Bonucci’s suggestion that Moise Kean was 50 per cent to blame for the racist chants. The Manchester City attacker has been very vocal on this issue. He has called for strict actions against people resorting to racism. Sterling posted a message on Instagram saying “all you can do now is laugh” at Bonucci’s assertion. Leonardo Bonucci’s assessment of the situation has enraged many people and rightly so. There have been a lot of instances where black footballers in Serie A have been on the receiving end of racism. Kalidou Koulibaly, Mario Balotelli and Antonio Rudiger have spoken condemning racism in Italian football. Historian and nationalism researcher Dr Andrea Mammone believes racism is prevalent in Italy because of the current political regime. “This is because the political climate in Italy is fundamentally supportive of hostility towards migrants,” he said.